Have you seen the adorable previews for the Paddington Movie which comes to theaters January 16, 2015? 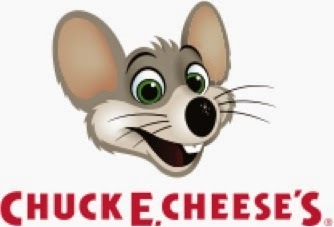 I know my kids have been talking about it. 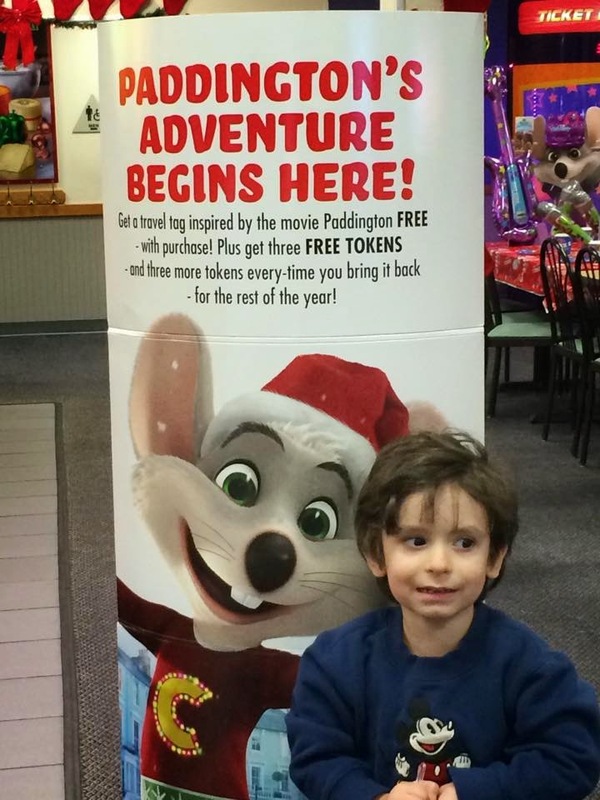 That is why we were excited to be part of the Chuck E. Cheese & Paddington Promotion that is going on at Chuck E. Cheese right now! 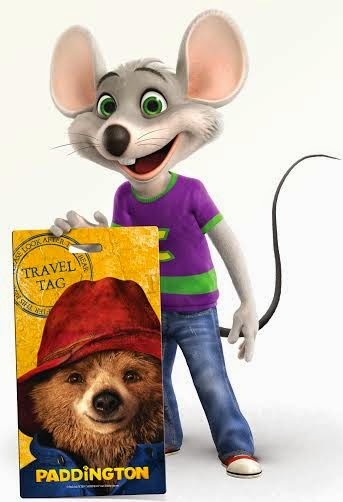 From now until December 28th, kids can get a FREE Paddington travel tag with the purchase of a meal or token package at any Chuck E. Cheese’s location. 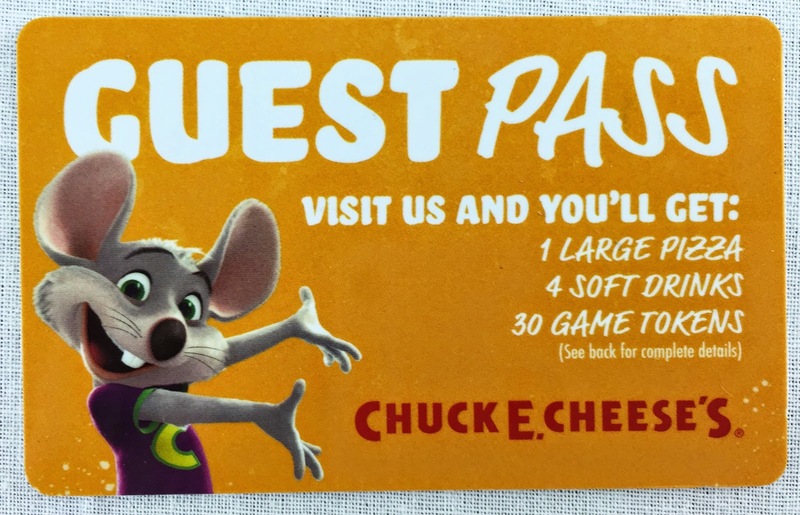 Then, every time they return to Chuck E. Cheese’s with the travel tag through December 28, they will receive three more tokens. Who doesn't love FREE Tokens! 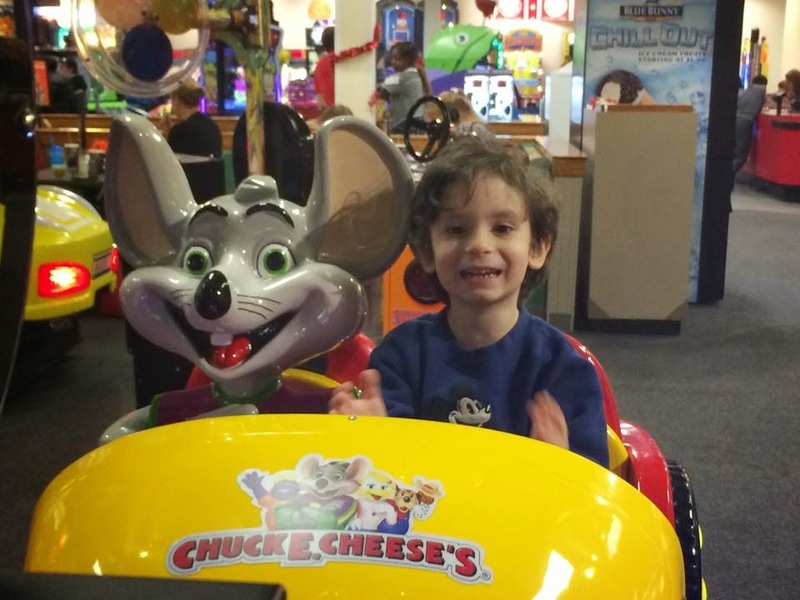 This was my little guys first time to Chuck E Cheese! 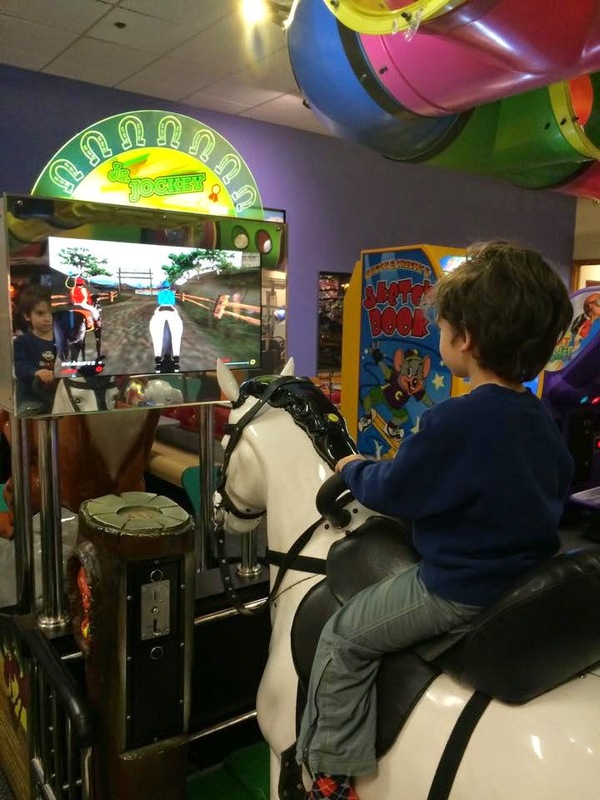 He had such a blast! 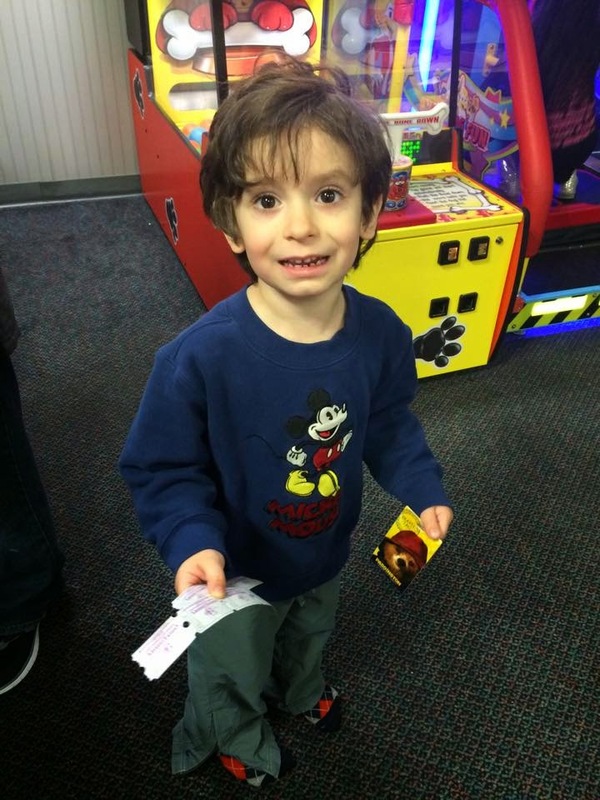 He loved the pizza, rides and games! Showing us his #PaddingtonMovie travel tag and some tickets! 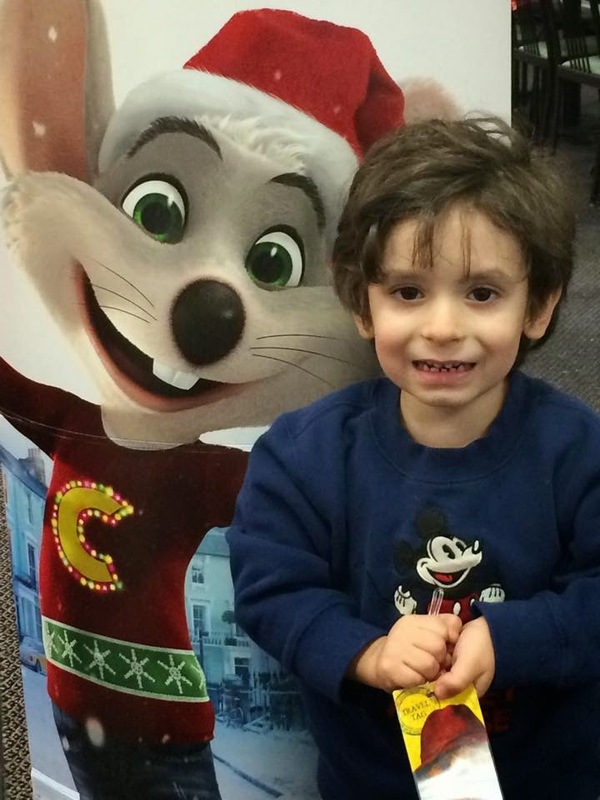 One lucky reader will win a gift pass to Chuck E Cheese! Enter using the Giveaway Tool Below!